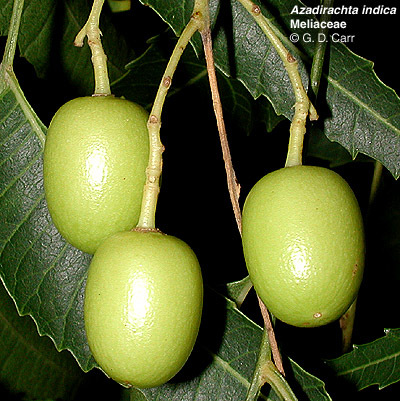 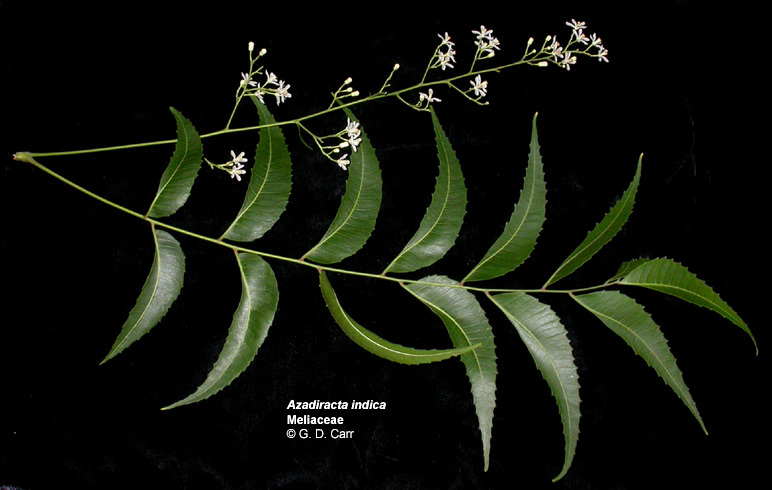 Azadirachta indica, nim or neem tree, margosa tree. 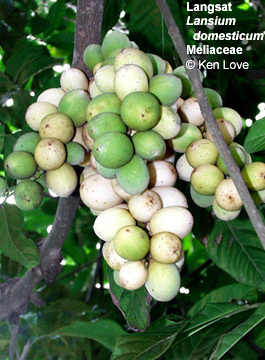 Tree from SE Asia and East Indies yielding an antiseptic resin used medicinally and in toothpaste, soaps, and lotions. 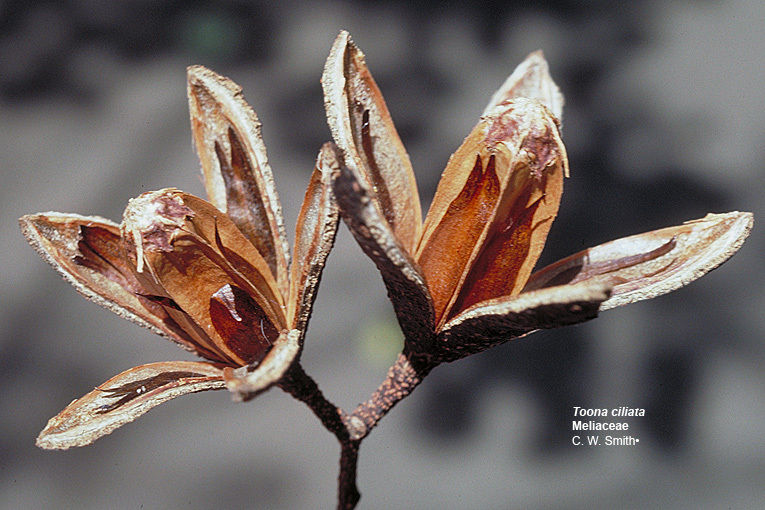 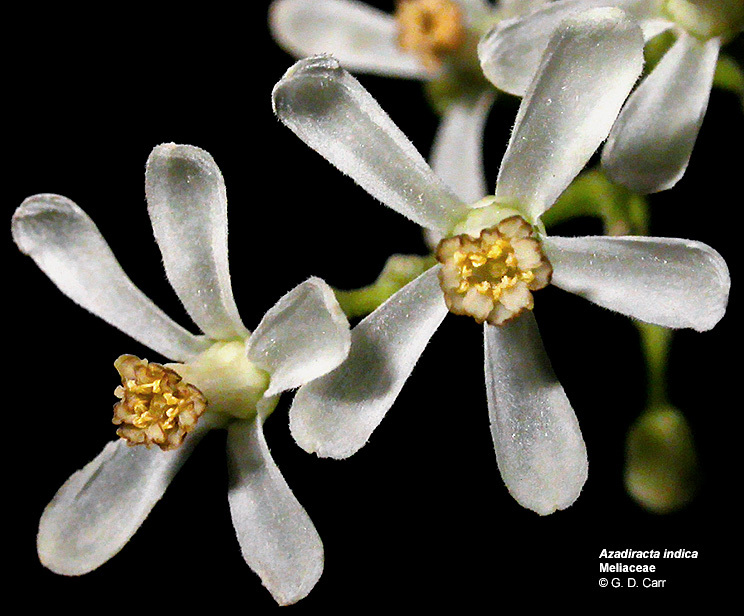 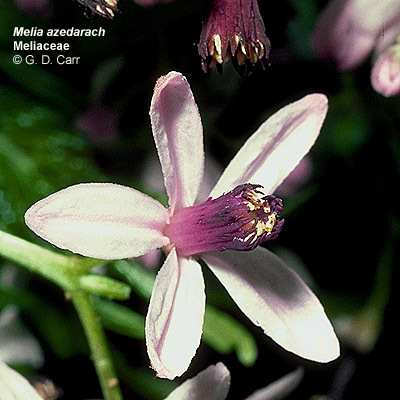 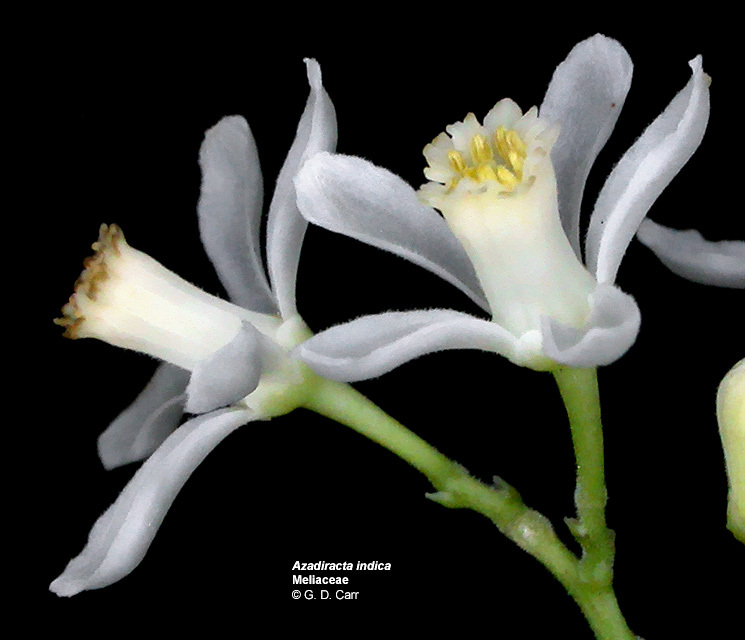 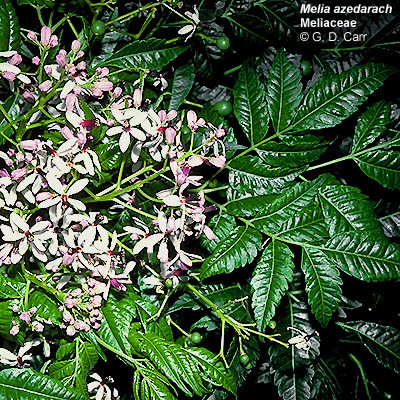 Melia azedarach, Chinaberry; pride-of-India. 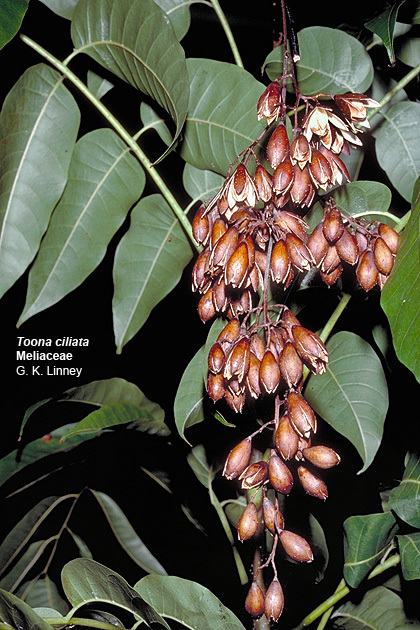 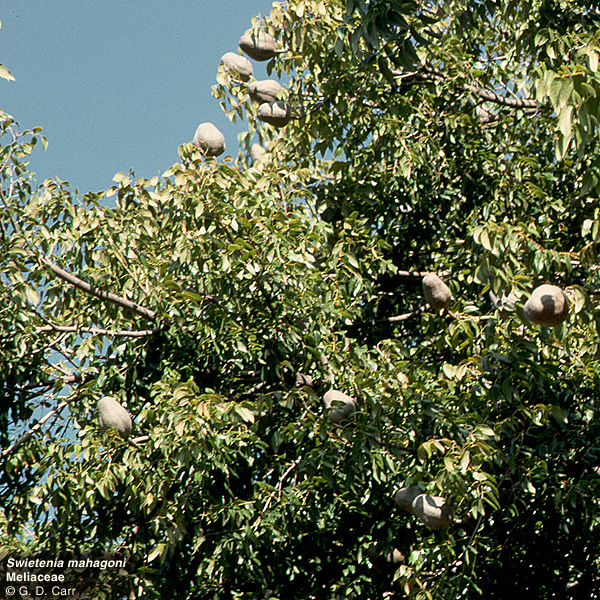 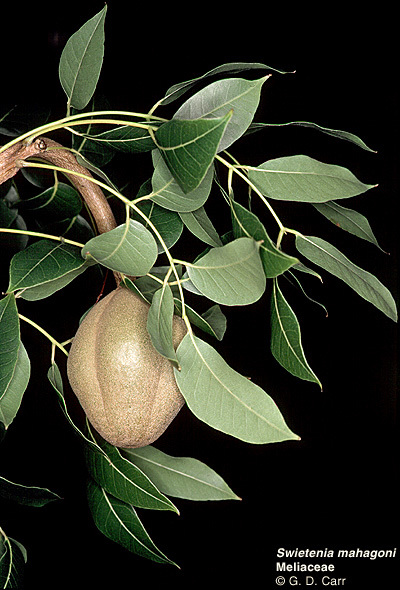 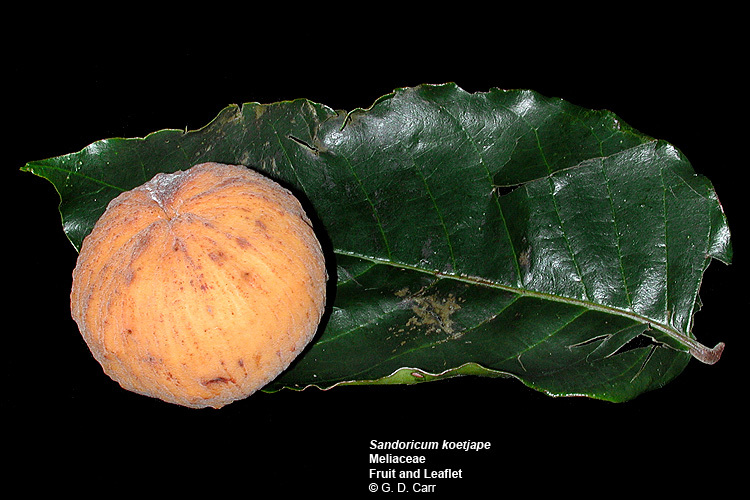 Tree from S. E. Asia with compound leaves, lilac and purple flowers, and golden fruits about half an inch in diameter. 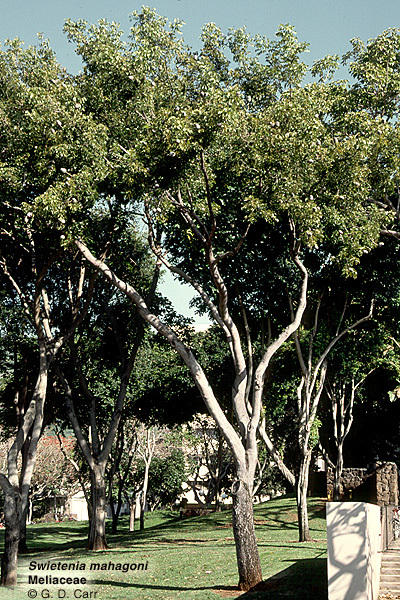 Swietenia mahagoni, mahogany. 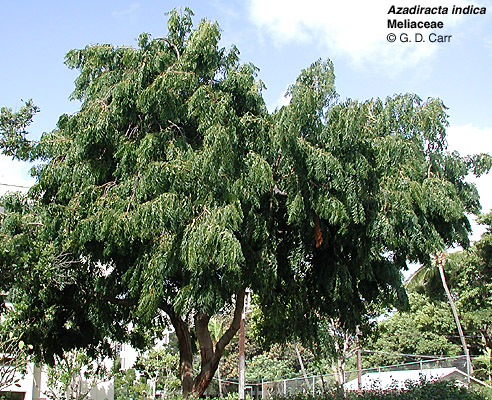 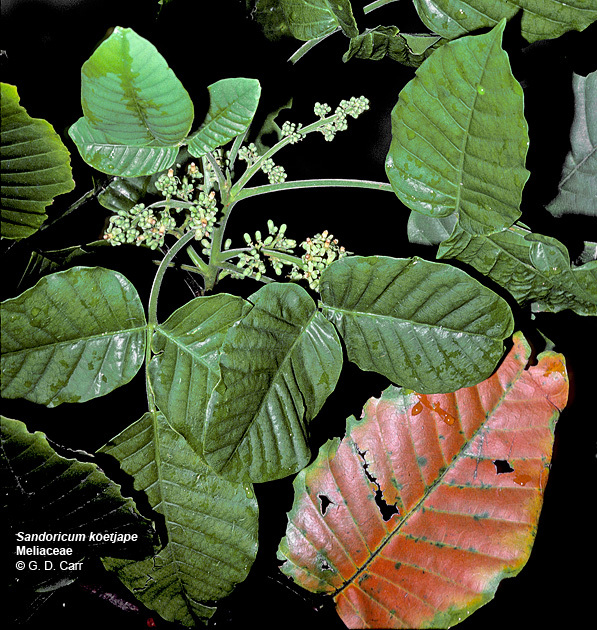 Tree from tropical America, commonly planted as an ornamental but the hard, heavy, dark red wood is highly valued for furniture, interior finishing, musical instruments, and shipbuilding. 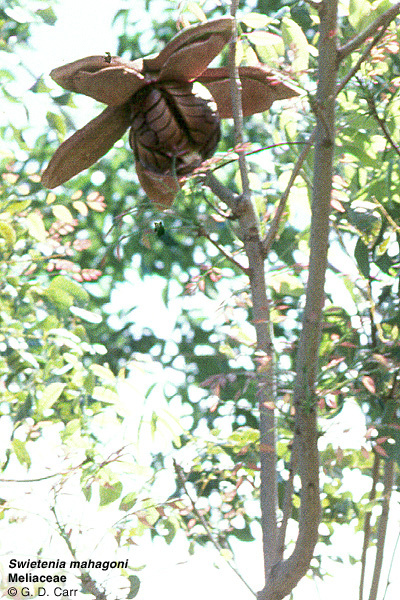 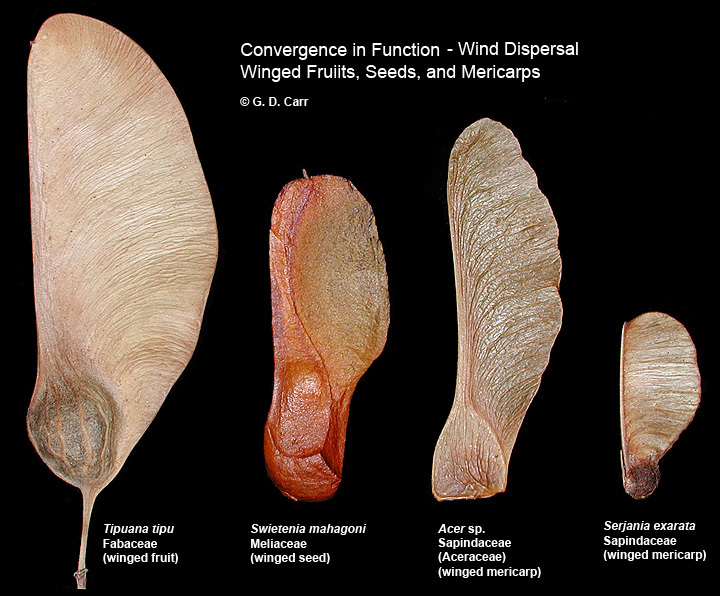 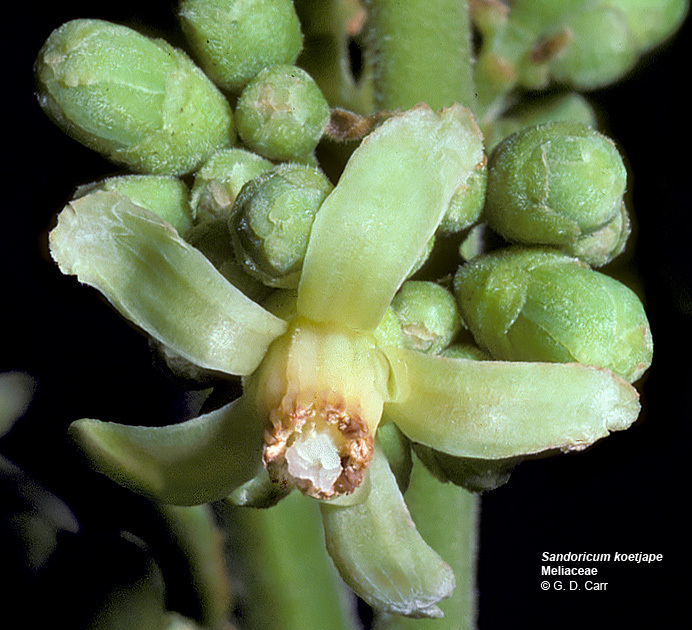 Normal orientation of the fruits is erect on upturned branch tips. 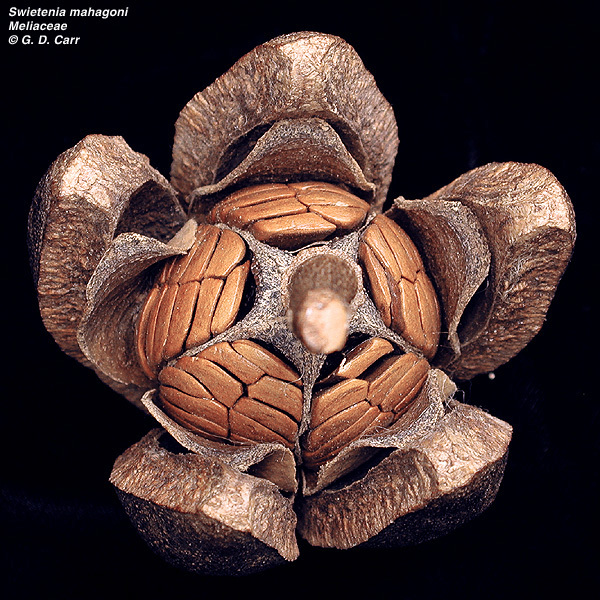 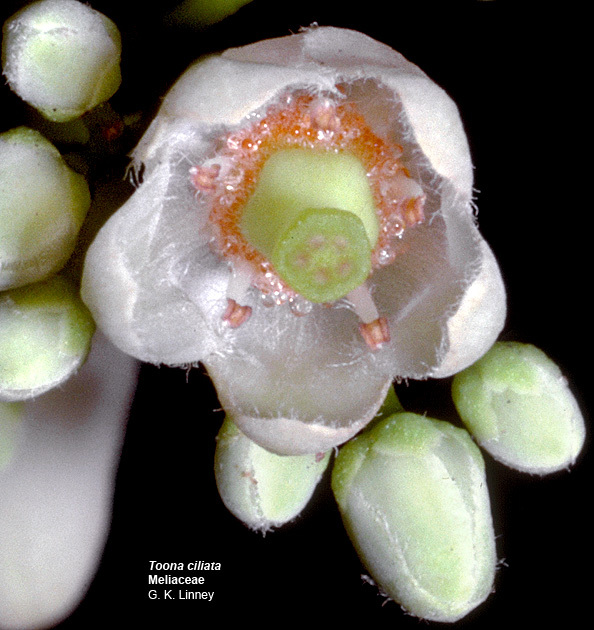 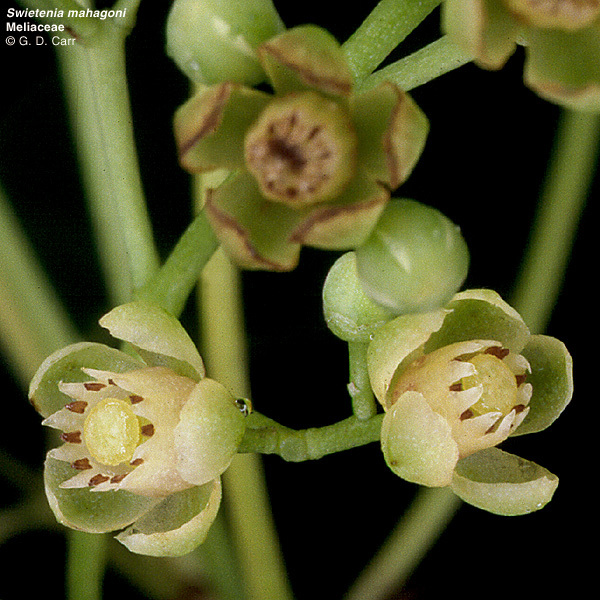 The capsules open from the proximal end. 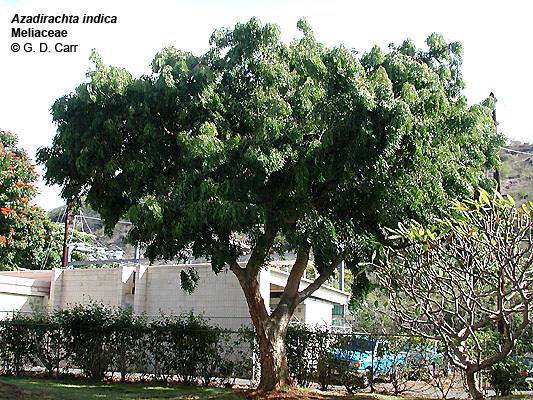 Location: Between Moore and Hamilton; mauka of Holmes; Diamond Head of Sakamaki. 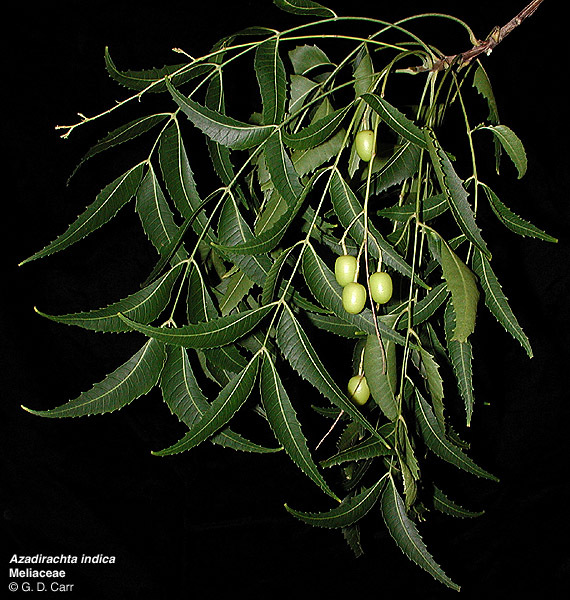 Toona ciliata, Australian red cedar.